Keep out the rain with cafe blind anchors from the ProRig range. 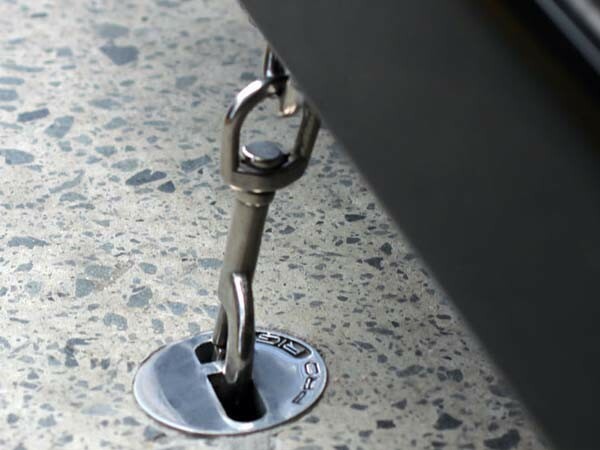 Made from high quality 316 Grade stainless steel, these stylish blind anchors are easily installed by drilling out a hole with a core drill and securing the fitting with grout or epoxy. ProRig blind anchors feature a stylish new round flush finish with a static anchor section allowing easy fixing of a hook or snap fitting. The flush design also eliminates potential trip hazards.